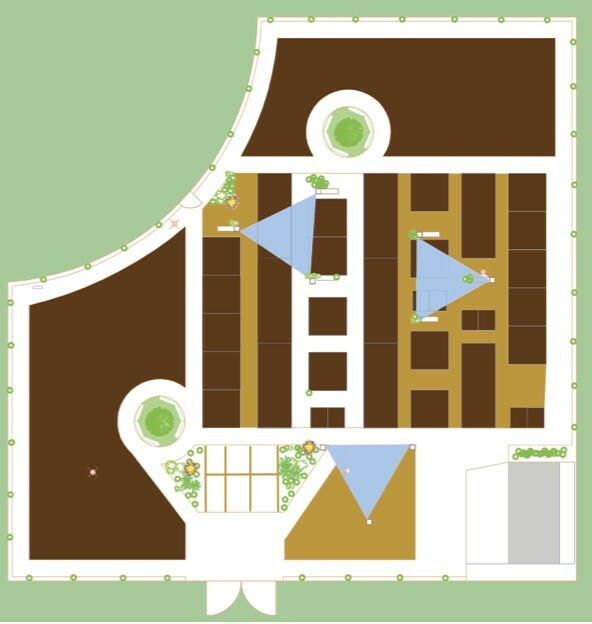 Here's how our new garden will look (only bigger). Nice hey? Not long now everyone and the excitement is building. Your community garden needs you (and all your friends and family)! The time is near. We've put our Sunday event up on Facebook (oh yes, we have a Facebook page!). Share it with your friends and ask them to pass it on. Let's get as many people as possible down there on Sunday to help us have a great time making our new garden and get loads done. Many hands...you know the rest. Oh, and we're a little short on rakes and big shovels too so bring them if you have them. OK, enough. See you soon.